Ahead of the upcoming drama series based on the life of Halifax diarist Anne Lister, a guidebook has been released exploring the history of her life. 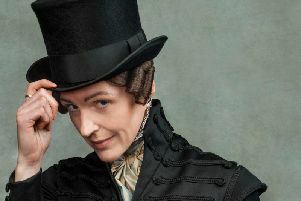 Gentleman Jack will soon be hitting our TV screens in the new BBC and HBO drama series, starring Suranne Jones as Anne Lister. The eight-part series is written by screenwriter Sally Wainwright, who created Calderdale-filmed hits Last Tango in Halifax and Happy Valley, and will explore Anne’s life and those who lived at Shibden Hall and the estate. But who was Anne Lister? Calderdale Council’s Museums Service, which looks after Shibden Hall, has put together a short introductory guidebook, Anne Lister of Shibden Hall, so visitors can find out more about this enigmatic woman. The introductory guide gives an overview of Anne, her life at Shibden Hall, how she has been portrayed over the years and her home and estate. Shibden Hall has been closed for filming for the new TV series since May but has reopened again until Monday 3 September. It will then be closed until next March, so visit now for a sneak peek of Anne’s home if you’ve not been before. The new books can be purchased from Bankfield Museum, Shibden Hall and online at www.amazon.co.uk. There will also be a tour at Shibden Hall on Sunday, 26 July at 2pm for anyone wishing to find out more about Anne Lister's life.